Convenience stores are now part of almost every gas station establishment which has enabled gas station owners to sell groceries, food items, beverages and many other things at pumps besides fuel and gas. Also, because of the addition of c-stores, gas stations can now serve as much needed restrooms for drivers who may need rest in between long trips. It’s convenience at its very best. But with this evolution of gas stations come many challenges. And one such challenge – believe it or not – lies with the maintenance of bathrooms available for public use at these gas stations and c-stores. If your bathrooms are clean, they will use your facility. It’s also likely that they may buy something from your c-store on the way out. However, if they find your bathrooms dirty and unhealthy, they’re unlikely to use them. Furthermore, they may avoid any purchases wondering how many people may have used your dirty bathroom, washed their hands and then touched your product. A murky bathroom creates a negative perception of your business in general even if it has nothing to do with the gas or food being sold at your gas station. Some of you may think people refusing to buy a product from a gas station just because its bathrooms are untidy are likely to be few, but that’s not the case. 32% of the population of the United States is estimated to be affected by this concern. In fact, there’s even an app called “Sit or Squat” where users can rate gas pumps based on the establishment’s bathroom cleanliness and drivers can use the app to decide at which gas station to stop and which gas station to ignore. Being rated “Sit” means, your bathrooms are clean and well maintained. “Squat” means your bathrooms are untidy. 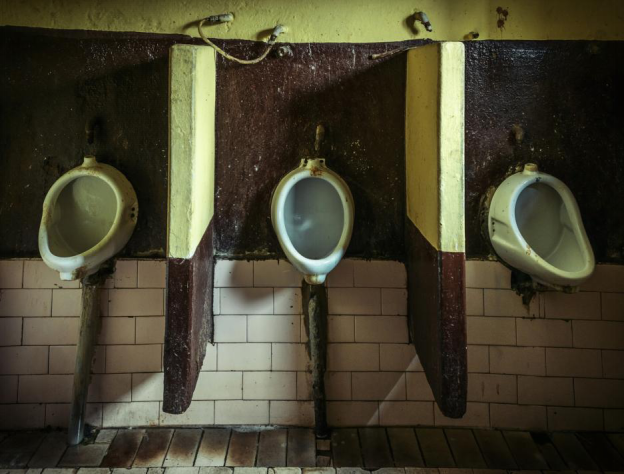 Even though there are many other important things to prioritize in your gas station business, the state of your bathrooms can simply not be ignored. As such, making sure your staff cleans your bathrooms regularly is really important. Using a shop management system can help you manage this side of business easily by allowing you to set reminders for your staff to clean the bathrooms and get updates on the cleaning status. There are many types of management systems available in market so make sure you pick the right one. What rating does your pump’s c-store has? Sit or squat? Are you willing to improve it? « Forecourt Investments: Should I Invest in a New Fuel Dispenser?